DOMINGO, 16 DE SEPTIEMBRE. 11:30 HORAS. PLAZA COMUNIDAD VALENCIANA. CONCIERTO SOCIEDAD MUSICAL ADAGIO. "CAMPAÑA DE MÚSICA ALS POBLES" ____ DIUMENGE, 16 DE SETEMBRE. 11:30 HORES. PLAÇA COMUNITAT VALENCIANA. 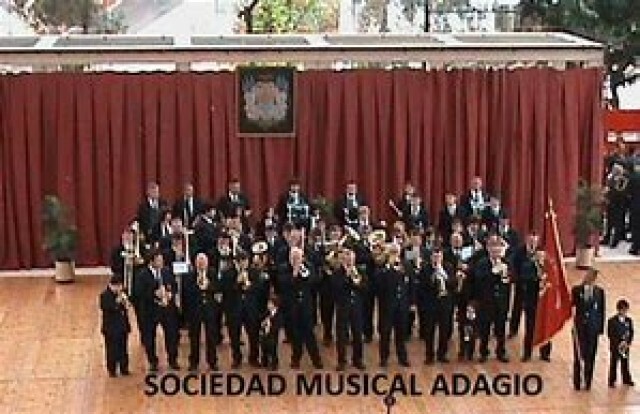 CONCERT SOCIETAT MUSICAL ADAGIO. "CAMPANYA DE MUSICA ALS POBLES".